Twelve months ago, when we confirmed the title ‘Pure Imagination’, we were thinking about imagined scenarios and possibilities. What if robots ran our schools? What if educational inequality didn’t exist; if it didn’t matter where you came from? What if we banished preventable illiteracy? What became clear over the two days of the conference is that the topics we were covering are not pure imagination, but are already a reality. Amazing things being done by amazing people across the system and in our schools. We are not talking in the conditional tense; we are in the present. Instead, the challenge is how to expand this across the system, so that all students, regardless of where they go to school, have the same opportunity and life chances. To make it a reality for all. 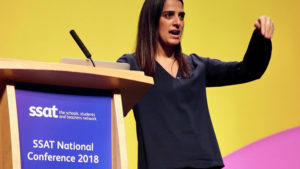 Of course, robots are not running our schools (and never will); but Priya Lakhani showed us that the technology already exists to use artificial intelligence, big data and neuroscience to offer students a more personalised learning experience, but we are under-utilising the potential at the moment. 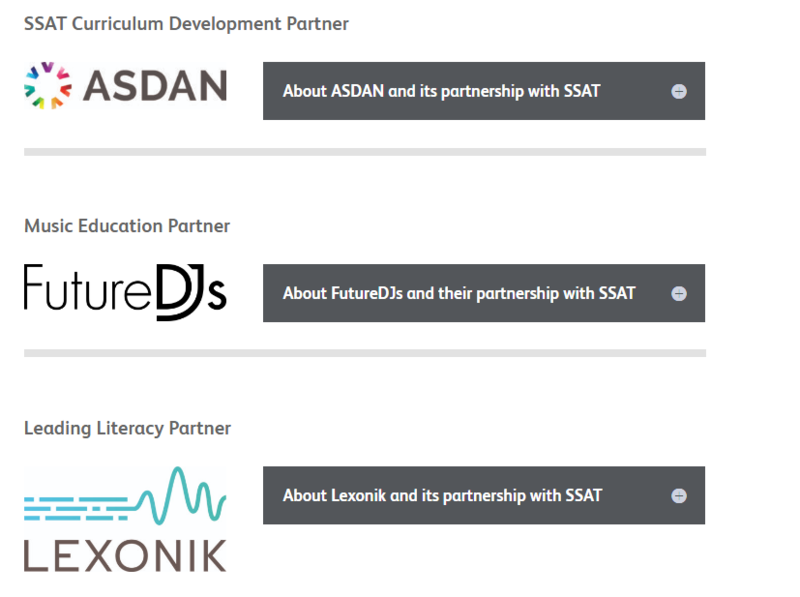 Likewise, we know from our work with Claire Preston at Lexonik that we can help students to better understand the world and access the curriculum through enhanced literacy provision. And yet preventable illiteracy continues to exclude students from accessing this, particularly those from disadvantaged backgrounds. Making these possibilities a reality for all young people requires us to think imaginatively about system and school leadership. A recurring theme of the conference was the importance not only of a creative curriculum, but creative leadership of our schools. Will Gompertz showed us how thinking like an artist is a methodical and learnt process, and one that we can teach students and staff to adopt. In this way, imaginative leadership requires rules and boundaries. What those rules are will always be a matter of professional judgement and personal conviction. Sue Williamson and Claire Preston framed this in terms of ‘non-negotiables’. What are your guiding stars that help you make those imaginative decisions in a robust and rigorous way? 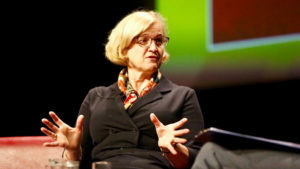 In her conversation with me, Amanda Spielman expressed her hope and belief that the new Ofsted framework will empower school leaders to make decisions that improve the quality of all young people’s education, rather than trying to teach to the test, boost league table performance, and second guess what inspectors are looking for. Whether the new framework can achieve this will remain to be seen, but will also require headteachers to work with Ofsted to achieve this. Over the two days, several non-negotiables really resonated with me. One of Will Gompertz’s key messages was that no child should leave school aged 16 believing they are a failure. In fact, the very notion that you can be a failure aged just 16 is a nonsense. Yet every August, we celebrate the c70% of students who have ‘passed’ their GCSEs. We forget about the 30% – the 3 in 10 – who have apparently ‘failed’. We have got to think differently about achievement and failure. We need to do this at a classroom level, at a school level, and at a system level. Writing people off aged 16 is in absolutely nobody’s interest. 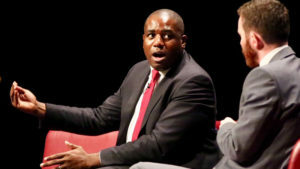 When times are tough, it’s a natural reaction to turn inwards, but several speakers – including our three talking heads, Andrew Morrish, Caroline Derbyshire and David Priestley, Tottenham MP David Lammy, and Charlotte Church, spoke about the role of the community in a quality education. Schools must be embedded in their local community and environment. 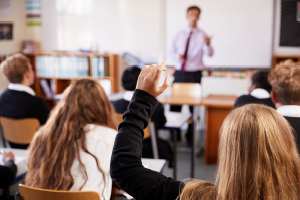 In a work in which we don’t know what’s around the corner, [what Lammy described as a ‘looming crisis’], schools can offer stability and security, but this has to happen at a local level and reflect local concerns, aspirations and opportunities. The challenge is how we do this while never accepting low expectations of young people. We should expect the same quality of education for disadvantaged young people in Blackpool, as we do for middle-class students in Wandsworth. The challenge in some areas is harder than others, and we must be sensitive to this and respond appropriately. Creativity in the curriculum was just one of the topics that we wanted to explore. However, many discussions in other strands came back to the importance of creativity and the impact of its potential loss. I have always believed in powerful core knowledge, the importance of disciplinary subject study, and what Christine Counsell calls ‘the grammar of subjects’, but I believe that we can achieve this while also fostering creativity and the creative outlook on the world. As Will Gompertz says, it’s one thing to be able to look up a fact on Google, and it’s another to do something with that fact. Being creative, being imaginative, is what it means to be human. We did not want this conference to be political, but we could not ignore the fact that despite what some ministers say, creative subjects and opportunity for the arts have decreased since 2010. Entry to arts GCSEs are significantly down. Schools are having to cut their arts enrichment. We have highlighted this issue and have opposed it for many years. For me however, the impact of this was made real by our final student performer, Megan, a 16-year-old from Alderbrook School. 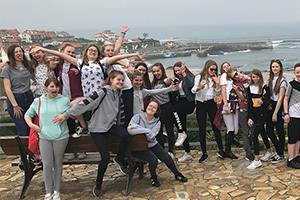 She explained that having been diagnosed with two tumours aged 14, leaving her unable to have children naturally, it was the support of her teachers and being able to turn to dance that saved her. In her own words, dance was not merely a subject, but for her a “lifeline” in her lowest moments. The fact that we have got ourselves in a situation where some schools – despite what they believe and out of their control – are having to cut this type of provision, denying students the opportunity for such life-affirming experiences, is shameful, and a matter of deep injustice. It’s for this reason I am even more convinced that our theme for next year’s conference is right. Deep social justice is all about what schools can do to ensure that every young person leaves them ready to pursue a fulfilling life. I know this is a grand topic, but we also want it to be highly practical. 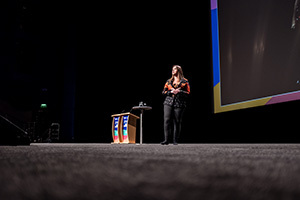 Please do share your thoughts personally with me about how we can make sure that next year’s conference has a positive impact on the students in your school and on future generations. Thanks to all of you who joined us in Birmingham this week. Thank you for all of your kind comments and feedback over the last few days. I hope you have an enjoyable two weeks until the end of term and a very happy and peaceful Christmas. 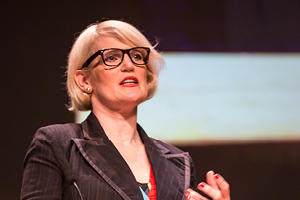 Presentations from conference speakers are available to all SSAT members on the Exchange. You can also view all of the conference action – and reaction – on Twitter. Now that next year’s conference title has been unveiled, read more about the theme and how it builds on SSAT’s previous work on personalising learning and redesigning schooling.